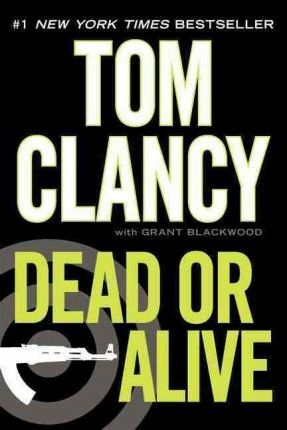 The #1 New York Times bestseller...Tom Clancy is back! After almost a decade, Tom Clancy returns to the world he knows better than anyone: a world caught in the crossfire of politics and power, placed on the edge of annihilation by evil men. But there are those who are honor-bound to protect their homeland by any means necessary. Those men work in the covert force known as the Campus. A little more than thirty years ago Tom Clancy was a Maryland insurance broker with a passion for naval history. Years before, he had been an English major at Baltimore's Loyola College and had always dreamed of writing a novel. His first effort, The Hunt for Red October--the first of the phenomenally successful Jack Ryan novels--sold briskly as a result of rave reviews, then catapulted onto the New York Times bestseller list after President Reagan pronounced it "the perfect yarn." From that day forward, Clancy established himself as an undisputed master at blending exceptional realism and authenticity, intricate plotting, and razor-sharp suspense. He passed away in October 2013. Grant Blackwood, a U.S. Navy veteran, spent three years aboard a guided missile frigate as operations specialist and pilot rescue swimmer. He is coauthor, with Clive Cussler, of the New York Times bestsellers Spartan Gold and Lost Empire. He is also the author of the Briggs Tanner series--The End of Enemies, The Wall of Night, and An Echo of War. He lives in Colorado.